We are about halfway through Autism Awareness month and as of today, Nathan is in 4th place for fundraising for the Autism Puzzle Walk. We have our eye on 2nd place to win him an iPod Touch. I just learned about all kinds of ways to use this technology to help him navigate at middle school and high school. In the midst of this, a dear friend contacted me about her Scentsy business. Her daughter and Nathan have been in classes together in the past and Nathan loves her daughter M. They wanted to help Nathan as well and Scentsy has a warmer every April where 100% of the proceeds go directly to Autism Speaks (another organization that the Autism Society is partnering with to help write legislation to help our kids/adults/families). Beyond that, she is setting up an online party where she is donating 10% of her profits directly to Team NATHAN. Unique Scentsy warmers use a low-watt bulb to melt the specially formulated wax slowly, maximizing the fragrance time of the Scentsy Bar or Scentsy Brick. With no flame, soot or wick, the Scentsy system is a safe way to enjoy more than 80 Scentsy fragrances. Plug it in. Turn it on. 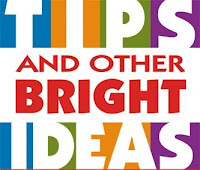 Place one or more sections of your Scentsy Bar into the dish. Completely melt the wax in the dish. Pour the melted wax into its original packaging to reform the wax. Clean dish with a paper towel. Store used bar in a cool place or discard. If you've never smelled their fragrances, you are missing out!!! I have a favorite scent in each category. Love the Sticky Cinnamon Bun and Black Raspberry Vanilla and Mediterranean Spa and Lilacs & Lavender. 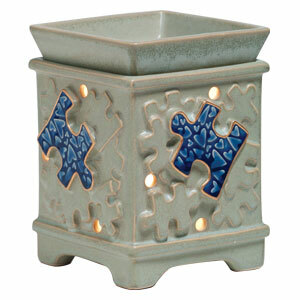 To order and support Team NATHAN, head over to her Scentsy website and click on the Autism Speaks Fundraiser. Remember, no matter what you order, a portion will be donated to Team NATHAN. And for frugal minded folks, if you live locally in my area, email me directly so we can arrange for you to pick up (or possibly for me to deliver) your order to you so you can save paying shipping & handling. NOTE: To save the shipping and handling fee, you can not order online, you must email me directly and we'll make the arrangements. Thank you for your support of Team NATHAN. I hope you'll consider purchasing some Scentsy items for yourself knowing a portion will come back to Team NATHAN.